This week on RFC Extra: We discuss last week’s Joelanta panel, compare third party GI Joe vs third party Transformers and talk about how GI Joe needs to reinvent itself. 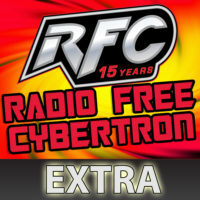 This week on RFC Extra: This week on RFC Extra: The Transformers panel from Joelanta 2015. The topic of the panel is how to collect Transformers!